Stipe scaly when young, glabrescent, densely covered in scales. Lamina pinnate to 3-pinnate, often proliferous near apex. Pinnae opposite to alternate, petiolulate. Sori borne medially near or at vein ending, circular, indusium peltate or rarely absent. 160–200 species throughout temperate zone and in tropical mountains. Polystichum albomarginatum M.Kessler & A.R.Sm. 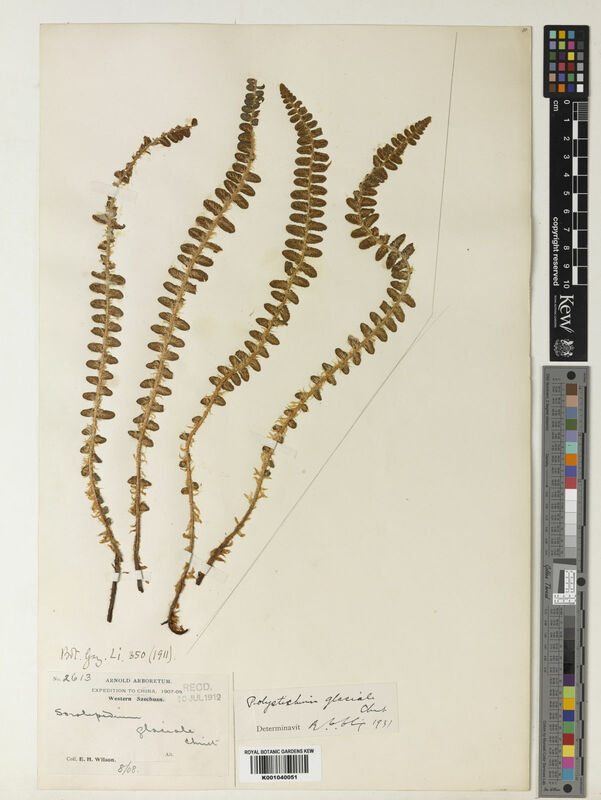 Polystichum amboroense M.Kessler & A.R.Sm. 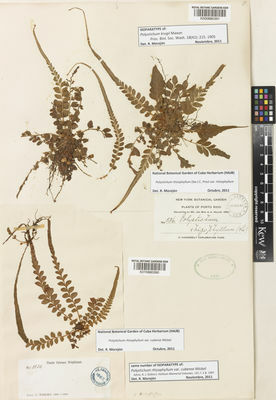 Polystichum bachii M.Kessler & A.R.Sm. 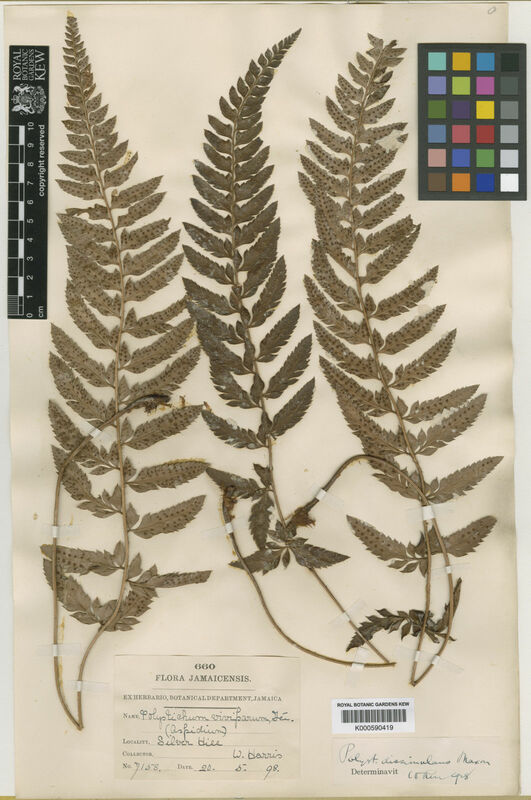 Polystichum chaparense M.Kessler & A.R.Sm. 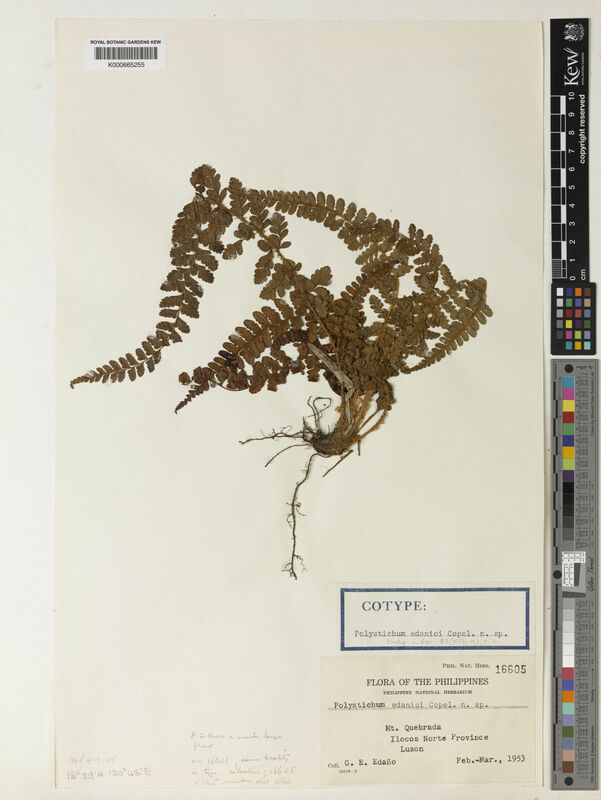 Polystichum congestum M.Kessler & A.R.Sm. Polystichum × gemmilachenense Miyam. & T.Nakam. 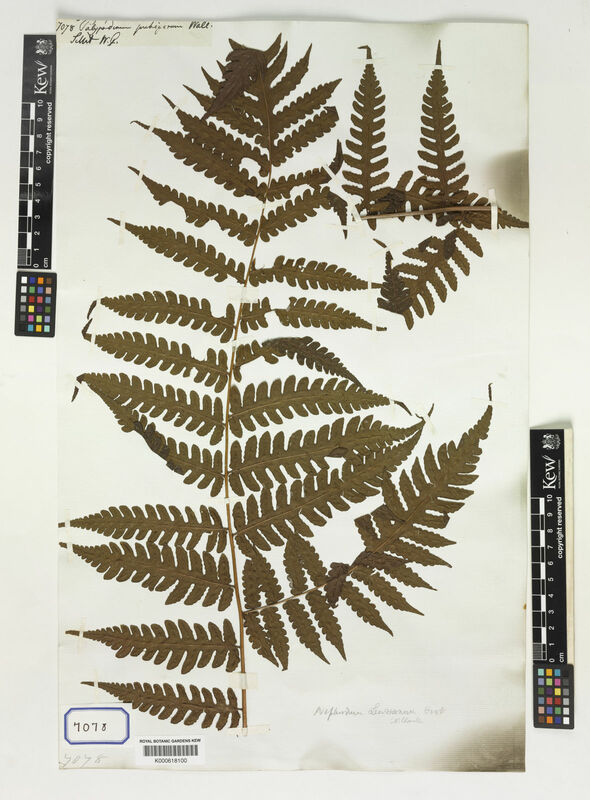 Polystichum maximum M.Kessler & A.R.Sm. Polystichum × meyeri Sleep & Reichst. Polystichum × minamitanii Sa.Kurata ex Seriz. 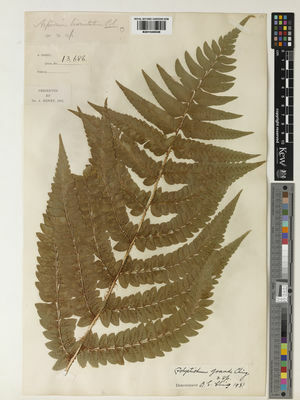 Polystichum paramicola M.Kessler & A.R.Sm. Polystichum × pseudoparvipinnulum Miyam. & T.Nakam. Polystichum rufum M.Kessler & A.R.Sm. Polystichum schizophyllum Lorea-Hern. & A.R.Sm. Polystichum shimurae Sa.Kurata ex Seriz. Polystichum × silviamontanum Miyam. & T.Nakam. Polystichum solomonii M.Kessler & A.R.Sm. Polystichum stimulans (Kunze ex Mett.) Bedd. Polystichum subintegerrimum (Hook. & Arn.) R.A.Rodr. Polystichum × suyamanum Sa.Kurata ex Seriz. Polystichum × tetsuyamense Sa.Kurata ex Seriz. Polystichum × tokyoense Sa.Kurata ex Seriz.